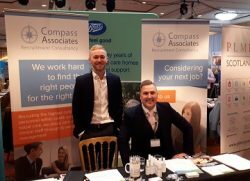 Compass Associates attended the Annual Scottish Care National Care Home Conference & Exhibition for the fourth consecutive year, exhibiting in the main conference room. This year Senior Consultant, Tom Berrisford and Consultant for Scotland, Max Oerton and Lily Parke, Head of Marketing made the journey north to Glasgow. This year’s conference was entitled was “A Caring Place” and featured a number of well respected speakers and included separate sessions focusing on different areas of elderly care and the launch of this year’s Scottish Care film; “A Place of Care: Through Our Eyes”. The Conference and Exhibition were followed by the Annual Scottish Care Awards. Tom, Max and Lily were joined by Adam Brenton, Divisional Manager of our Manchester Office, Senior Consultant Tom Sims, Senior Consultant Gemma Lee and Consultant Emily Shaw. On Friday 26th October our Manchester office took part in a Manchester to Blackpool office bike ride for Manchester Mind. 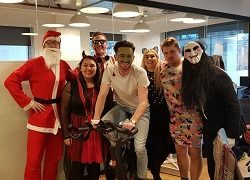 Short of donning their Lycra, the team dressed rather seasonably in Halloween costumes! Each team member took a turn in cycling for part of the 'journey' from the office in St Peter's Square calling at Salford Quays, Worsley, Bolton, Horwich, Chorle, Leyland, Preston and finally 'stopping' at Blackpool. The bike ride was completed on a static bike, very kindly donated to the office by The Gym Group. In-between laps, the team refueled from the Halloween themed Bake Off. By lunchtime Office Manager Adam completed the final lap and the team raised a fantastic £510 for Manchester Mind.